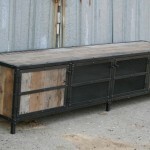 This handmade custom rustic credenza would work great as a media console, sideboard or buffet. 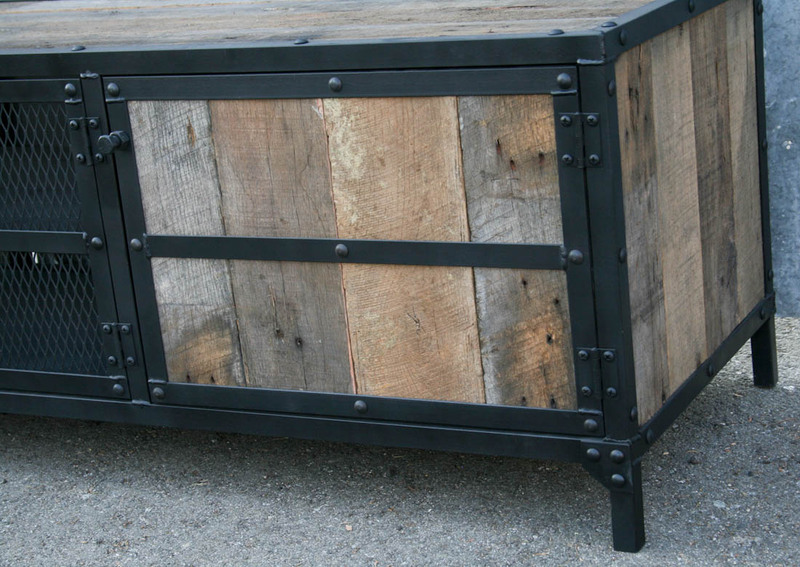 It would work with a variety of different style decor, whether you’re looking for something vintage, industrial, or rustic. 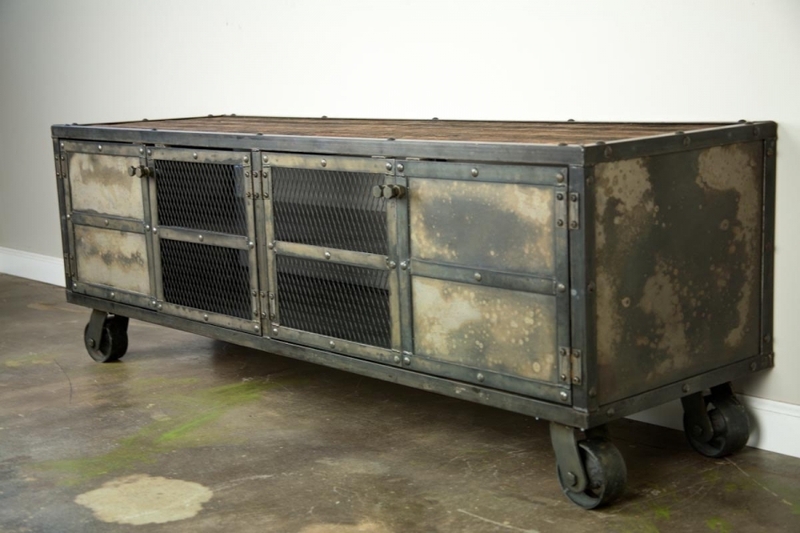 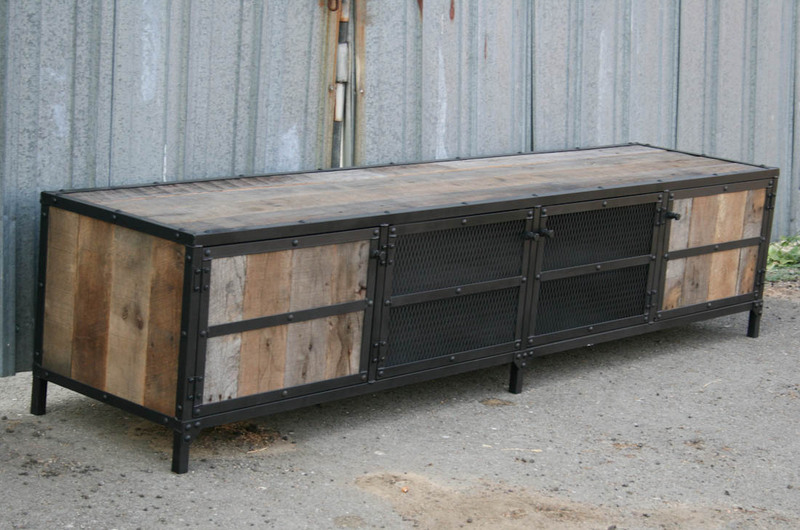 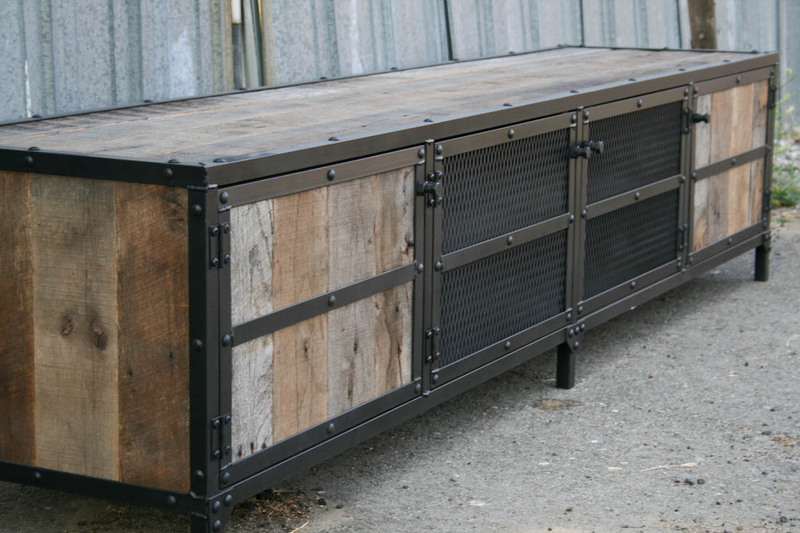 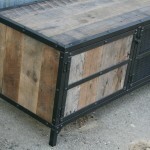 The rustic credenza, as pictured, is made from steel and fantastic, distressed barn wood. 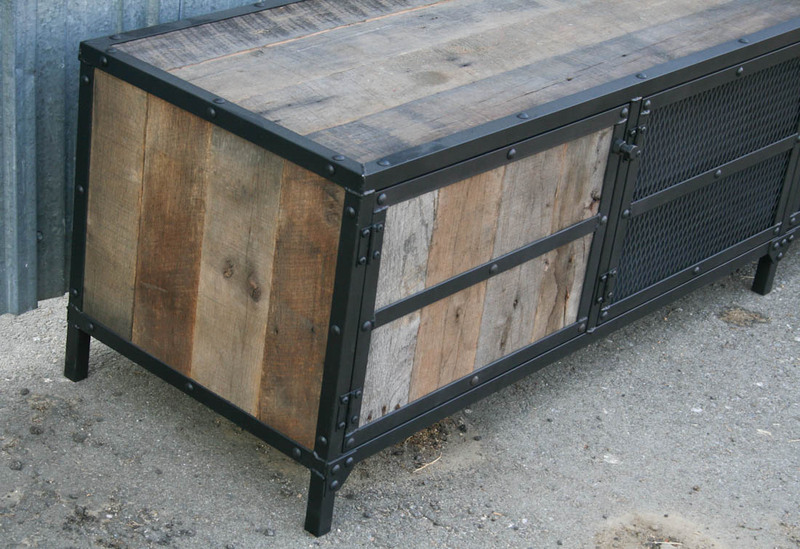 The variety in the wood will give your piece a look and character completely unique from any other piece anywhere. 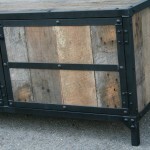 We have several different kinds of reclaimed wood available, with shades from light to dark and everything in between. 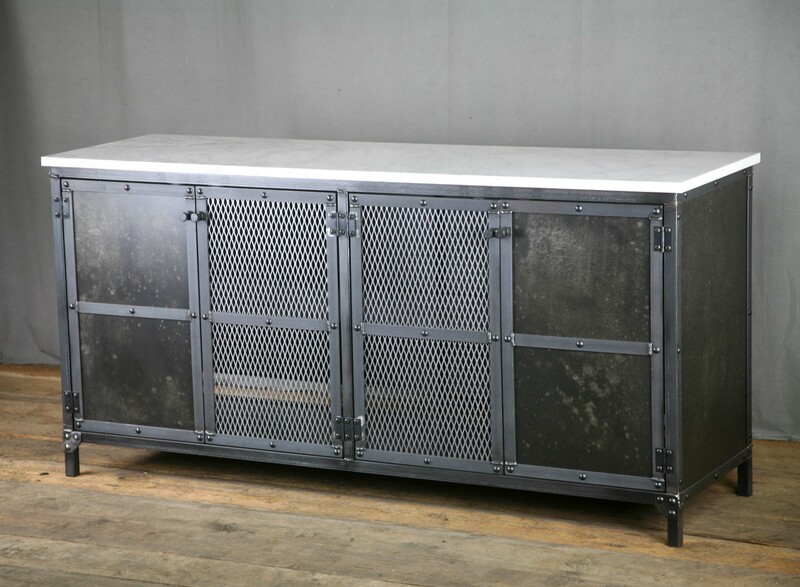 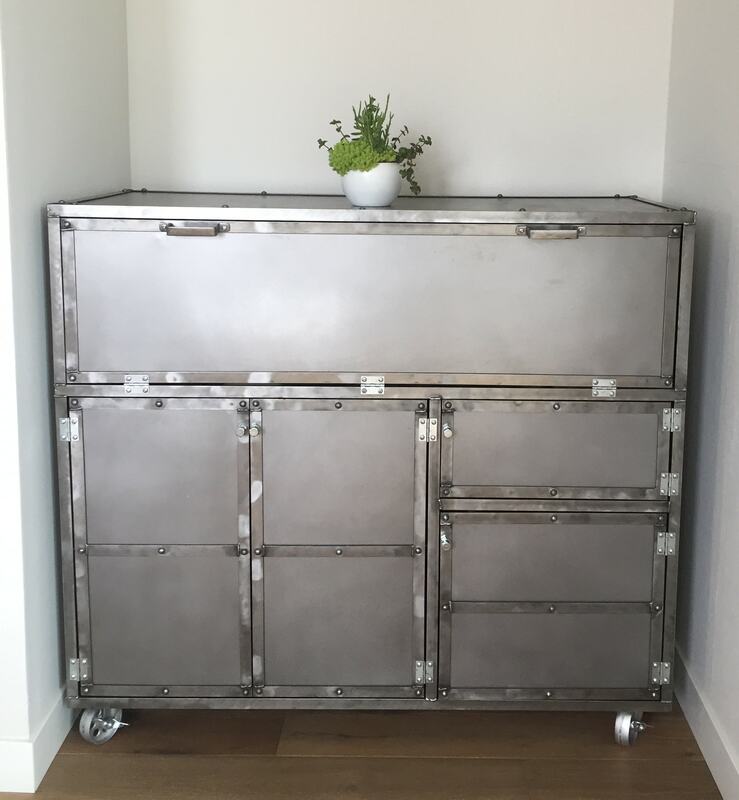 This rustic credenza could also be made with new wood to give it a more uniform look, or with steel to make it appear more “industrial”. 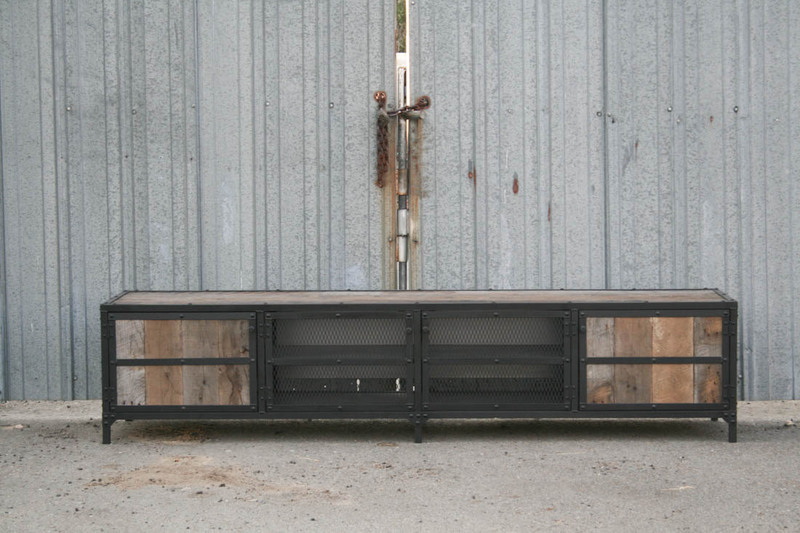 The outer doors are reclaimed wood, and the inner doors are mesh. 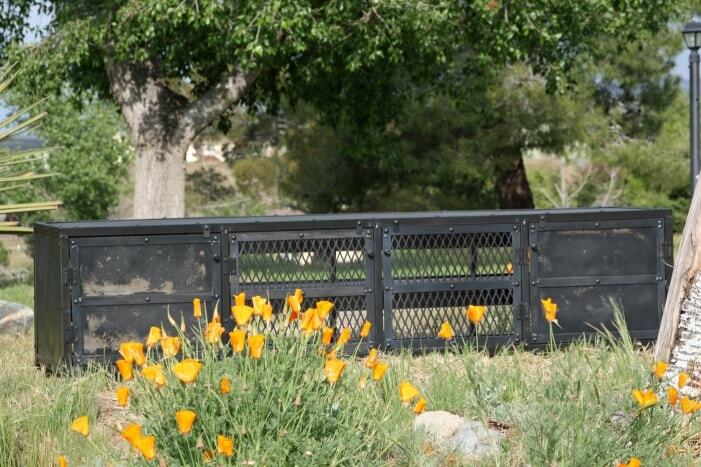 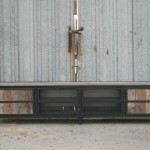 The doors can be done in any configuration using steel, mesh, reclaimed wood, or no doors at all. 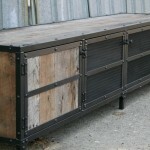 The back of the rustic credenza has a 2″ gap across the bottom to allow cables to pass through easily. 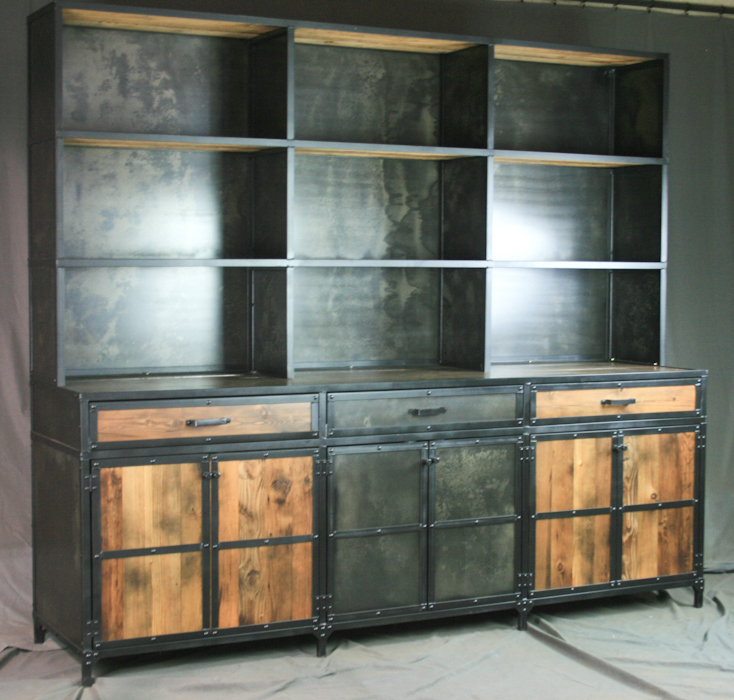 The interior has a fixed center shelf that runs the entire length of the piece. 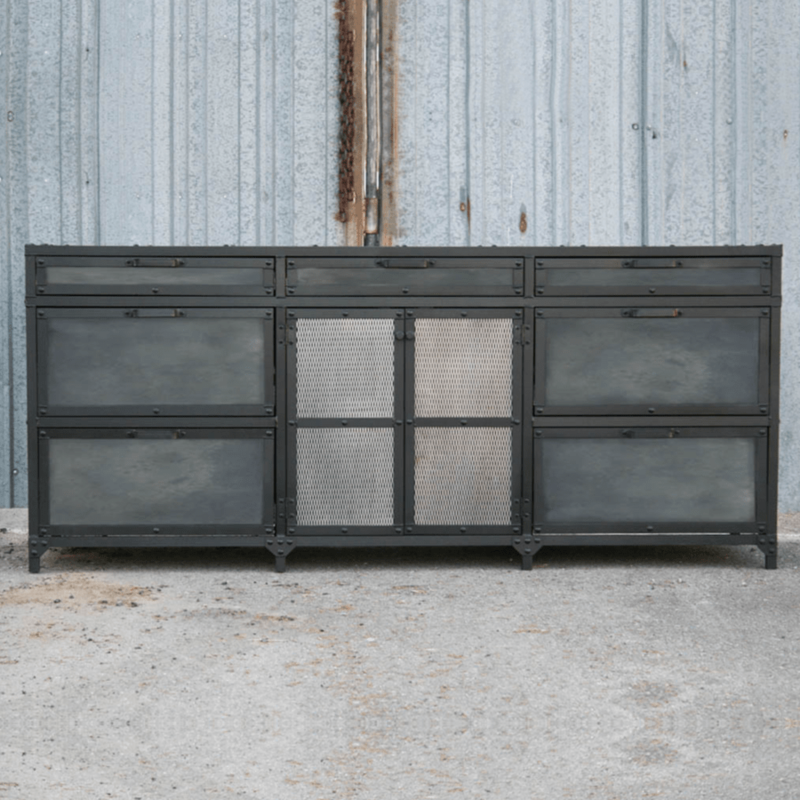 These are only some of the options for customizing the rustic credenza. 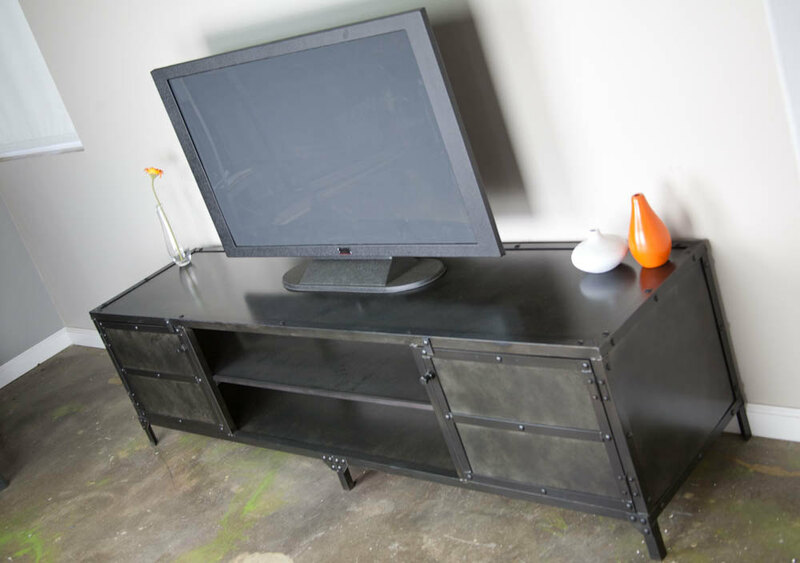 Ask about casters, partitions, and leg options.